Draft: 2009, Los Angeles Angels, CAth rd. Tyler Wayne Skaggs...On Twitter: @TylerSkaggs37.. Supports the 'DoMore4: Good' program in Los Angeles...Organization focuses on high schools and nonprofits in rewards-based competitions to inspire acts of kindness and volunteerism... Active in numerous Angels community events, including hospital visits, Moving Day and the annual Kids Holiday Party....During Angels road trip to Minnesota in June 2018, visited patients at Gillette Children's Specialty Healthcare (non-profit hospital in St. Paul, MN) alongside Andrew Heaney, Blake Parker and Andrew Bailey...Represented Angels on 2014 and 2015 Fan Cruises... Favorite NBA team is Los Angeles Lakers and favorite NFL team is Minnesota Vikings... Attended Santa Monica HS (CA), where he played baseball, football and basketball...Tyler's mother, Debbie, was longtime softball and volleyball coach at Santa Monica HS... Signed by Angels scout Bobby Dejardin. Made Angels Opening Day roster for third time in career (also 2014 & 2017)... Established career highs in wins, starts, innings pitched and strikeouts... Made 10 road starts before the All-Star Break pitching to a 5-2 record and 2.11 ERA (59.2 IP - 14 ER)…His first half road ERA ranked third in the Majors behind Jacob deGrom (1.79) and Justin Verlander (1.99)... Had streak of 12 straight games with five-or-more strikeouts from April 29 - July 12…It was the sixth longest streak all-time by an Angels lefty and longest since Chuck Finley (16 consecutive games) in 1997... In five June starts, went 3-1 with a 0.84 ERA (32 IP - 3 ER) and 36 strikeouts…Established lowest June ERA in Angels history (min. 30 IP)... Had streak of six straight starts allowing one-or-fewer earned runs from June 3 - July 12, which was tied for second longest in Angels history. Held opponents to a .174 (8/46) batting average with two outs and runners in scoring position...Went 53 consecutive innings pitched without allowing a home run from May 28 - July 31...Steak of eight straight starts without allowing a home run was longest for an Angels lefty since Jim Abbott in 1991... Missed total of 51 games across three stints on disabled list...Was scratched from scheduled start on June 21 vs. Toronto with right hamstring tightness, but made two more starts before being placed on the DL for first time on July 4 (retro to July 1) with a right adductor strain...Missed nine games during second DL stint with a left adductor strain...Returned to make one start on Aug. 11 vs. Oakland before returning to DL on following day with same left adductor strain injury. Opened year in Angels starti ng rotati on for first time since 2014 ... Tossed seven scoreless innings on Apr. 16 at Kansas City and matched career-high with nine strikeouts (also reached nine strikeouts Sept. 6 at Oakland) ... Missed 85 games on disabled list with a right oblique muscle strain suffered on Apr. 28 at Texas...In last three games before injury, was 1-0 with a 1.42 ERA (19 IP - 3 ER) ... Made four rehab starts between AZL Angels and Triple-A Salt Lake before returning to Angels, Aug. 5 vs. Oakland ... In 11 starts following return from disabled list, went 1-5 with a 4.85 ERA (55.2 IP - 30 ER) and 47 strikeouts... Allowed three-or-fewer earned runs in seven of 11 contests. Earned win with seven scoreless innings in season debut with Angels July 26 at Kansas City in first Major League appearance since July 31, 2014...Had streak of 29 consecuti ve scoreless innings combined between Triple-A Salt Lake and Angels (July 7 - Aug. 6); had 42 strikeouts and six walks in that span...In final four Major League starts of season, went 2-1 with a 1.83 ERA (19.2 IP - 4 ER) with 21 strikeouts...Named Pacific Coast League Pitcher of the Week for July 11-17...Tossed seven scoreless innings in start on July 14 at Omaha and matched Salt Lake franchise record with 14 strikeouts, which equals Jered Weaver's mark from 2006…Retired each of fi nal 19 batt ers faced. Spent entire season on Angels disabled list recovering from Tommy John surgery performed on Aug. 13, 2014. Completed first season with Angels with a 5-5 record and 4.30 ERA (113 IP - 54 ER)...Missed a total of 76 games across two stints on disabled list...Missed 23 games from June 6 - July 2 with a right hamstring strain...Missed final 53 games of year after exiting start July 31 at Tampa Bay with a left forearm strain...Had Tommy John surgery performed Aug. 13 by Dr. Neal Elattrache (Kerlan-Jobe Orthopaedic)...Became one of five Angels lefties all-time with 5+ wins and 70+ strikeouts in their age 22-or-younger season and first since Jim Abbott in 1990...Angels won each of his first five starts...Joined Bo Belinsky, Jarrod Washburn & Scott Schoeneweis as only Angels left-handers to have team win each of first five starts with Club...Angels won eight of Skaggs' first nine starts in 2014...Made Halos debut April 5 at Houston and became seventh starting pitcher in club history to toss 8+ innings with zero earned runs in team debut (joining Rudy May, Curt Simmons, Nolan Ryan, Tommy John, Jerry Reuss and Shawn Boskie)...Sixth Angels starting pitcher since 2000 to win a game before turning 23 years old (also, Nick Adenhart, Trevor Bell, Tyler Chatwood, Sean O'Sullivan and Ervin Santana). Entered the season as the No. 1 prospect in the Diamondbacks organization by Baseball America and MLB.com... Made seven starts with the D-backs and went 2-3 with a 5.12 ERA (38.2 IP - 22 ER) and 36 strikeouts... Averaged 8.38 strikeouts per 9 IP, up from 6.44 in 2012... Won his season debut with six scoreless innings on May 27 vs. Texas (Game 1)…Also struck out a career-high nine batters in only career game against an American League opponent... Hurled a career-high eight innings on July 5 vs. Rockies (0 ER). Went 1-3 with a 5.83 ERA (19 ER in 29.1 IP) in 6 startsin his first season with the D-backs...Was 1 of 5 players to appear in the MLB All-Star FuturesGame in both 2011 and 2012, joining INF Nolan Arenado (Rockies), INF Manny Machado (Orioles), OF WillMyers(Royals) and INF Jurickson Profar (Rangers)...Was the seventh D-backs starter to win his Major Leaguedebut on Aug. 22 (Game 1) vs. Marlins (2 ER in 6.2 IP)...His 6.2 IP were the second-most by a D-back making hisdebut (8.0 IP, Gerardo Guzman on July 6, 2000 at Astros)and the third D-backs pitcher to allow 3 hits or less whilepitching at least 6.0 innings in their debut, joining EnriqueGonzalez (3H/6.0 IP) on May 28, 2006 @ Reds and JohnPatterson (3 H/6.0 IP) on July 20, 2002 @ Padres...At the time of his debut, was the youngest pitcher inthe Majors (21 years, 40 days)...also became the second-youngest pitcher to make his first Major League start ina D-backs' uniform and youngest since Edgar Gonzalezon June 1, 2003 @ Padres (20 years, 98 days)...Was the first D-backs rookie pitcher to allow 2 earnedruns or less in his first 3 starts...Combined to go 9-6 with a 2.87 ERA (39 ER in 122.1IP) in 22 starts with Double-A Mobile and Reno...wasnamed to the Southern League midseason All-Star Team...Entered the season as the No. 3 Prospect in the D-backs'system by Baseball America and MLB.com (21st overall)...honored in Baseball America's Best Tools issue as havingthe Best Breaking Ball in the SL and Pacific Coast League. Named the D-backs Pitcher of the Year after going 9-6 with a 2.96 ERA (52 ER in 158.1 IP) and 198 strikeouts in 27 combined starts with Single-A Visalia and Double-A Mobile...Started the MLB All-Star Futures Game (0 ER in 1.0 IP) at Chase Field and was named to Baseball America's Minor League All-Star Team...garnered California Leaguemid/postseason All-Star Team honors...Finished fourth among all Minor League pitchers instrikeouts and 15th in opponents average (.218)...also finished 10th in the CL in strikeouts (125) despite not pitching after July 7...Went 5-5 with a 3.22 ERA (36 ER in 100.2 IP) in 17 starts with Visalia and 4-1 with a 2.50 ERA (16 ER in57.2 IP) in 10 starts with Mobile...limited left-handers to a .175 (17-for-97) average...Was 5-1 with a 2.43 ERA (22 ER in 81.1 IP) in his last 14starts, compared to 4-5 with a 3.51 ERA (30 ER in 77.0 IP) in his first 13...Named Southern League Pitcher of the Week for Aug. 8-14 (1-0; 1 ER in 7.0 IP)...Went 0-0 with a 1.38 ERA (2 ER in 13.0 IP) and 16 strikeouts in 2 postseason starts for the SL Champion BayBears...Entered the season ranked as the No. 2 Prospect in the Diamondbacks organization by Baseball America (No. 82 overall) and MLB.com (No. 12)...also was tabbed by the same publication as possessing the Best Curveball andrated as the top CL prospect and third-best in the SL following the season. Combined to go 9-5 with a 3.29 ERA (36 ER in 98.1 IIP) and 102 strikeouts in 23 games (18 starts) with Single-A Cedar Rapids and Single-A South Bend...Named to the Midwest League midseason All-Star Team...Was traded to the D-backs on Aug. 7 to complete the July 25 deal for RHP Dan Haren...Went 1-1 with a 1.69 ERA (3 ER in 16.0 IP) and 20 strikeouts in 4 starts with South Bend. Was 0-0 with a 1.80 ERA (2 ER in 10.0 IP) and 13 strikeouts in 5 games (2 starts) with Arizona League Angels and Rookie Orem. 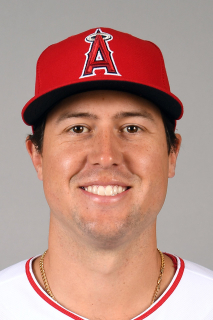 15 de abril de 2019 Los Angeles Angels ponen a LHP Tyler Skaggs on the 10-d&iacute;a lista de lesionados retroactivo al April 13, 2019. Left ankle sprain. 18 de septiembre de 2018 Los Angeles Angels activan a LHP Tyler Skaggs de la 10-d&iacute;a lista de lesionados. 12 de agosto de 2018 Los Angeles Angels ponen a LHP Tyler Skaggs on the 10-d&iacute;a lista de deshabilitado. Left adductor strain. 11 de agosto de 2018 Los Angeles Angels activan a LHP Tyler Skaggs de la 10-d&iacute;a lista de deshabilitado. 4 de agosto de 2018 Los Angeles Angels ponen a LHP Tyler Skaggs on the 10-d&iacute;a lista de deshabilitado retroactivo al August 1, 2018. Left adductor strain. 12 de julio de 2018 Los Angeles Angels activan a LHP Tyler Skaggs de la 10-d&iacute;a lista de deshabilitado. 4 de julio de 2018 Los Angeles Angels ponen a LHP Tyler Skaggs on the 10-d&iacute;a lista de deshabilitado retroactivo al July 1, 2018. Right adducter strain. 21 de agosto de 2017 Los Angeles Angels activan a LHP Tyler Skaggs de la lista de duelo. 18 de agosto de 2017 Los Angeles Angels ponen a LHP Tyler Skaggs en la lista de duelo. 5 de agosto de 2017 Los Angeles Angels activan a LHP Tyler Skaggs de la 60-d&iacute;a lista de deshabilitado. 22 de julio de 2017 Los Angeles Angels envian a LHP Tyler Skaggs una asignaci&oacute;n de rehabilitaci&oacute;n a Salt Lake Bees. 17 de julio de 2017 Los Angeles Angels envian a LHP Tyler Skaggs una asignaci&oacute;n de rehabilitaci&oacute;n a AZL Angels. 24 de junio de 2017 Los Angeles Angels envian a LHP Tyler Skaggs una asignaci&oacute;n de rehabilitaci&oacute;n a AZL Angels. 29 de mayo de 2017 Los Angeles Angels transferido LHP Tyler Skaggs de la 10-d&iacute;a lista de deshabilitado a la 60-d&iacute;a lista de deshabilitado. Right oblique muscle strain. 29 de abril de 2017 Los Angeles Angels ponen a LHP Tyler Skaggs on the 10-d&iacute;a lista de deshabilitado. Right oblique strain. 26 de julio de 2016 Los Angeles Angels llamado LHP Tyler Skaggs de Salt Lake Bees. 2 de julio de 2016 LHP Tyler Skaggs asignado a Salt Lake Bees de Inland Empire 66ers. 27 de junio de 2016 LHP Tyler Skaggs asignado a Inland Empire 66ers de Salt Lake Bees. 22 de junio de 2016 Salt Lake Bees envian a LHP Tyler Skaggs una asignaci&oacute;n de rehabilitaci&oacute;n a AZL Angels. 2 de abril de 2016 Los Angeles Angels opcionado LHP Tyler Skaggs para Salt Lake Bees. 6 de noviembre de 2015 Tyler Skaggs estado en la lista cambian a por Los Angeles Angels. 3 de noviembre de 2014 Los Angeles Angels activan a LHP Tyler Skaggs de la 60-d&iacute;a lista de deshabilitado. 2 de julio de 2014 Los Angeles Angels activan a LHP Tyler Skaggs de la 15-d&iacute;a lista de deshabilitado. 26 de junio de 2014 Los Angeles Angels envian a LHP Tyler Skaggs una asignaci&oacute;n de rehabilitaci&oacute;n a Salt Lake Bees. 10 de diciembre de 2013 Los Angeles Angels cambian a LF Mark Trumbo and Player To Be Named Later a Arizona Diamondbacks for LHP Hector Santiago and LHP Tyler Skaggs. 30 de septiembre de 2013 Arizona Diamondbacks llamado Tyler Skaggs de Reno Aces. 14 de agosto de 2013 Arizona Diamondbacks opcionado Tyler Skaggs para Reno Aces. 12 de agosto de 2013 Arizona Diamondbacks llamado Tyler Skaggs de Reno Aces. 28 de julio de 2013 Arizona Diamondbacks opcionado Tyler Skaggs para Reno Aces. 22 de julio de 2013 Arizona Diamondbacks llamado Tyler Skaggs de Visalia Rawhide. 11 de julio de 2013 Arizona Diamondbacks opcionado Tyler Skaggs para Visalia Rawhide. 5 de julio de 2013 Arizona Diamondbacks llamado Tyler Skaggs de Reno Aces. 10 de junio de 2013 Arizona Diamondbacks opcionado Tyler Skaggs para Reno Aces. 4 de junio de 2013 Arizona Diamondbacks llamado Tyler Skaggs de Reno Aces. 28 de mayo de 2013 Arizona Diamondbacks opcionado Tyler Skaggs para Reno Aces. 27 de mayo de 2013 Arizona Diamondbacks llamado Tyler Skaggs de Reno Aces. 18 de marzo de 2013 Arizona Diamondbacks opcionado Tyler Skaggs para Reno Aces. 22 de agosto de 2012 Arizona Diamondbacks seleccionado el contrato de Tyler Skaggs de Reno Aces. 1 de julio de 2012 Tyler Skaggs asignado a Reno Aces de Mobile BayBears. 6 de enero de 2012 Arizona Diamondbacks invitado fuera del roster LHP Tyler Skaggs para spring training. 11 de julio de 2011 Tyler Skaggs asignado a Mobile BayBears de Visalia Rawhide. 4 de abril de 2011 Tyler Skaggs asignado a Visalia Rawhide de South Bend Silver Hawks. 20 de marzo de 2011 LHP Tyler Skaggs asignado a Arizona Diamondbacks. 7 de agosto de 2010 Tyler Skaggs asignado a South Bend Silver Hawks. 5 de abril de 2010 Tyler Skaggs asignado a Cedar Rapids Kernels de Orem Owlz. 1 de septiembre de 2009 Tyler Skaggs asignado a Orem Owlz de AZL Angels. 22 de agosto de 2009 AZL Angels firmado Tyler Skaggs. 7 de agosto de 2009 Arizona Diamondbacks firmado LHP Tyler Skaggs.